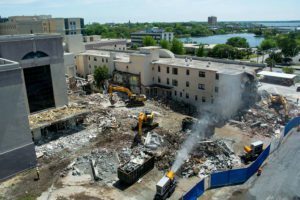 Construction & Demolition companies across the U.S. are seeking new methods for controlling dust in light of OSHA's new silica regulations. 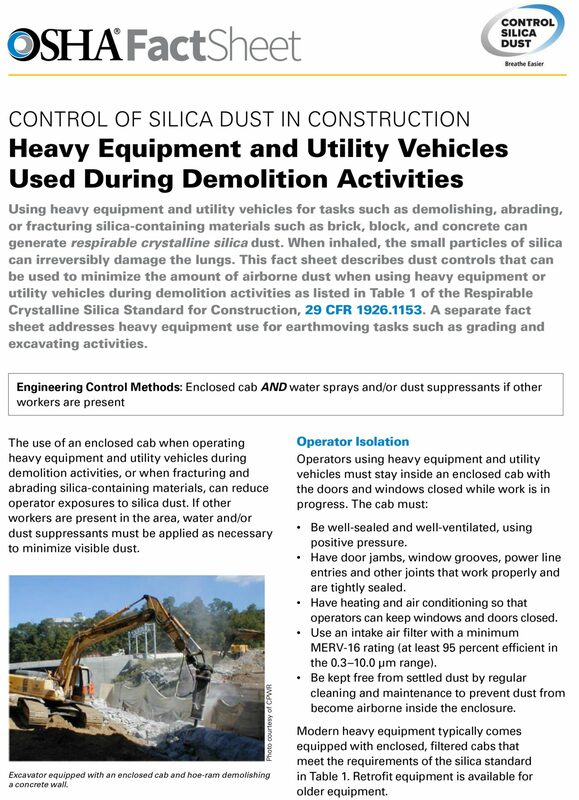 Generating respirable crystalline silica dust can lead to irreversible damage for those who are exposed. For this reason, OSHA is implementing the Respirable Crystalline Standard for Construction, 29 CRF 1926.1153. Atomized misting cannons, like the DustBoss pictured above, are an effective way to suppress silica dust. Call today to schedule your free demo & site evaluation. Our Dust Specialists are ready to help you meet and exceed OSHA's new silica standards. 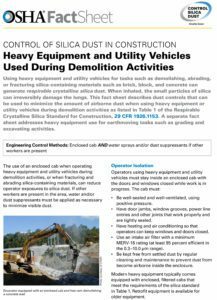 This entry was posted in DB-60, DB60-Suppression, DustBoss, News, silica dust control, Uncategorized. Bookmark the permalink. Both comments and trackbacks are currently closed.